I recently had an article published in the Herald about the Maori Advisory Board but following recent events thought that I should review my comments. Mayor Len Brown has been criticised by some for his efforts in reaching agreement with the Maori Advisory Board about its funding. This is unfair. I agree that the situation is not ideal but this is the result of poorly drafted legislation by Wellington and not Auckland Council’s behaviour. Some background is important. 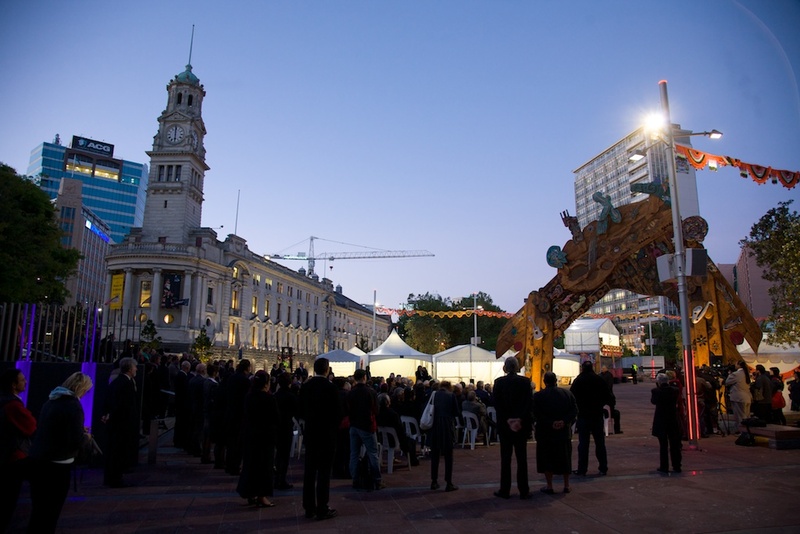 Originally there was considerable support for separate Maori representation on the Council. This could have been achieved by setting up two Maori electorates within the city. Electors on the Maori Role could then vote for their preferred candidate. But the Government refused to have specially designated Maori council seats. Part way through the process it came up with the idea, apparently against Rodney Hide’s advice, that there be a Maori Advisory Committee, the sort that would meet and talk and recommend and then, depending on the political makeup of the Council, have its recommendations either supported or ignored. It was to have the power to appoint observers to some Auckland Council committees. But well after the passing of the Act something extraordinary became public, the appointees of the Maori Advisory Committee have a vote. I thought initially that it must be a mistake, but after considering the Select Committee report it is clear that the Government intended the result. (1) The board must appoint a maximum of 2 persons to sit as members on each of the Auckland Council’ s committees that deal with the management and stewardship of natural and physical resources. Note that the words “as members” were inserted. The rationale for this in the accompanying notes was that “[a]s introduced new section 70(1) is not sufficiently clear as to the role of board members on Auckland Council committees.” Obviously the addition of “as members” was intended to clarify their powers. The decision to give these unelected members a vote appears to have been a deliberate one by the Government. In my view it is outrageous that in a democracy the Crown can appoint persons to a democratic body and thereby raise the possibility that a majority of elected representatives’ views may not decide an issue. Labour’s spokesperson on the super city Phil Twyford has expressed a similar opinion. As for funding issues Brian Rudman is right, Len Brown is not to blame. All he is doing is following exactly, precisely what Parliament has told him. In the constitutional pecking order that we have he has no choice. The litigation concerning the funding of the Board is regrettable. But the legislative provisions are clear. The Council is obliged to obtain a report from an independent expert and act in accordance with that report. The independent expert must consider the board’s purpose, functions and powers and must make a recommendation to the board. The Auckland Council must act in accordance with the information provided to it by the independent expert. So there is not a huge amount of discretion left to the council to not follow the report. The secrecy concerning the negotiations has attracted adverse comment. But I consider that it was appropriate for the Council to formulate its position in relation to the appeal in private. The desire to debate this publicly is understandable but as the debate involved sensitive negotiations the decision was a responsible one. This is not to say there should not be a full debate about the issue of Maori representation in the near future. I am sure that the good people of Auckland would prefer that all members of Auckland Council committees are elected rather than appointed.